Ugh, I can’t believe how chilly the evenings have gotten here in Utah already! I should love Fall. the beautiful colors, the cooler nights for sleeping, but I don’t. I’m a Summer girl through and through, the beach, the water, the heat, the sun…. I love it all. Including summer fashion like lightweight rompers and jumpsuits, tank tops, jean cut-offs, and of course, mini skirts and fun printed summer dresses too! 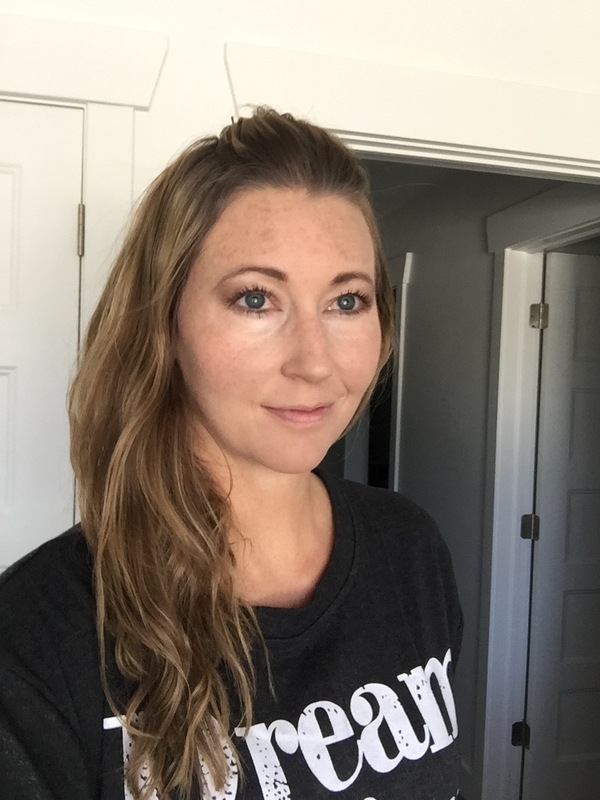 The effortless hair and makeup is a huge plus too, which is probably why I carry many of these hairstyles and makeup looks well info Fall and often into the beginning of Winter too. After a few visits to my hair stylist this spring to determine that my flat iron was indeed killing my hair (Some of my hair in the back, is totally half the length of the rest of my hair – oops! ), I have stuck to creating hairstyles all summer long that only involved product, maybe a hair band or two, and absolutely no heated tools. One of my favorite looks Summer, quickly became the natural, wavy beach look! This look is so incredibly easy to create and is so much better on your hair than using those hot flat irons, hair dryers, and curling wands! No hair dryer needed for this style! I’d love to list a bunch of steps here but guess, what, there are only 2! Voila! That’s it! You’ve just created some very pretty beach waves with a cool -I just took a dip in the ocean – texture! 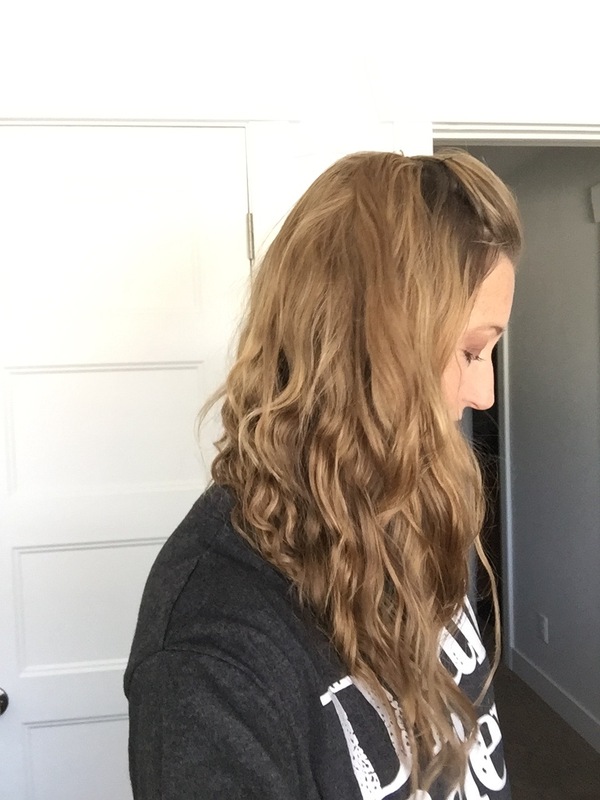 I’ve been creating beachy waves for years and have tried literally dozens of different sea salt sprays. The problem I often run into with these sprays is because they contain salt, they are indeed very drying on the hair. Not such a great combination for hair that is already naturally on the dry side! Which is exactly why I was beyond thrilled when I was recently shipped the Pure Glam Performance Waves Sea Spray and got to try it out! This spray is the exact opposite of your typical sea salt spray. It’s actually moisturizing and leaves hair with a cool wavy beachy texture, but without the dried-out salty look of it. Instead, you get incredibly soft, glamorous wavy hair! I swear it makes my hair look shinier even though it’s a sea spray too! The Pure Glam Sea Spray instead, is a natural, organic, cornstarch-based hair styling spray that is an amazing multitasker. It controls frizz and even acts as a dry shampoo. Yep, you can reuse this the next day without washing your hair. Just scrunch hair after spraying and your hair will be revived again with beautiful beachy waves! The Pure Glam Performance spray also contains other healthy hair ingredients such as a seaweed with Laminaran, which is known for boosting collagen production and great for fighting the signs of aging when it comes to your hair. You will also find caffeine and ginger in this amazing beach waves spray, that will actually stimulate hair growth! The spray rivals competitors major hair styling brands, yet is natural and good to the earth too! It leaves hair cleaner for days and brings back shine to dirty hair too. This amazing sea spray is packed full of nutrients that strengthen hair fiber and actually, in turn, helps it act as a defense against environmental stressors! It’s also cruelty-free too! This product has quickly become my go-to styling spray for taming frizz, adding beautiful beach waves, and giving my hair a healthy glow and beautiful shine! I also love that it doesn’t take much of this product to get the major styling and healthy-hair benefits from it! Just one pump will go a long way! The Pure Glam Performance line also contains a volumizing spray that beat out popular brands like John Masters and Dr. Haushka and was named “Best Styling Product of 2015” by Beauty With A Conscience. The spray was also named in the Top 12 Beauty & Fashion Picks by ALLURE. 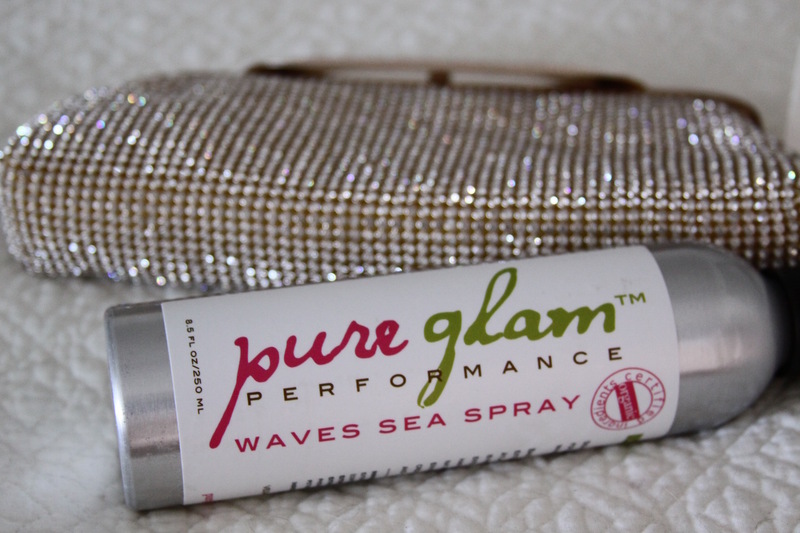 Purchase The Pure Glam Performance Sea Spray today and Save 20% with code: MS20 at OrganicBeauty.now! Also be sure to shop the award-winning body care products from the Pure Glam and EcoPrincess- designed specifically for kids -line while you’re there too!